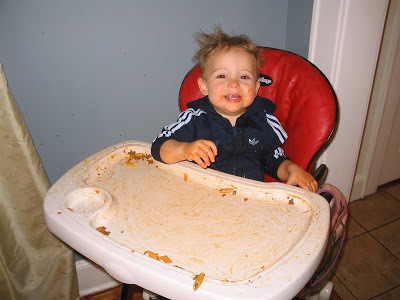 This is our nightly scenario–dinner thrown at the walls and floor then mashed into mush and wiped all over the high chair, hair, clothes and face. I guess he is feeling better. The post Messy Boy appeared first on Darling Darleen | A Lifestyle Design Blog .